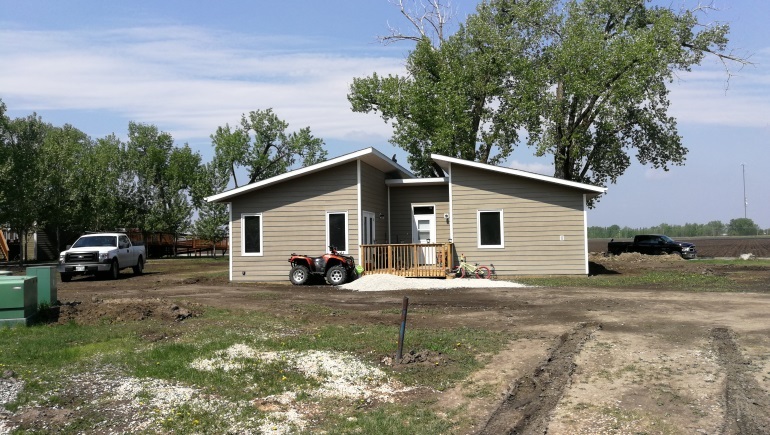 Our mission is to provide the necessary shelter to the members of the community by providing quality homes with the resources available, develop long term goals to improve housing maintenance and services, and incorporating new housing building codes to improve the quality of our homes. A major portion of funding for the housing come from the Canada Mortage & Housing Corporation; however, we have other sources of funding like rental income, insurance income, and the First Nations contribution to build new homes, maintenance and renovations of existing housing. LPFN Market Housing Program development is underway. This program will allow eligible LPFN members to access a home loan/mortgage to build or purchase their own home. Assessment and approval by the Lenders will be based on the strength of the applicant (LPFN member) and once approved, the Lender will seek a guarantee from LPFN. Gail Joe, Consultant for the First Nation Market Housing Fund has been assigned to work with LPFN to develop and implement this new housing program. Her objective is to tailor make the program based on the needs/request of LPFN and to mitigate LPFN’s risk as guarantor of the home loans/mortgages. Long Plain Chief and Council (Board of Directors) control all housing operations. Long Plain First Nation. Copyright 2019. All Rights Reserved.